Roger comes from Spain, where he studied Environmental Sciences (U. of Valencia, 2008) and undertook a Masters in Environmental Engineering (U. of Valencia / The Polytechnic U. of Valencia, 2011). 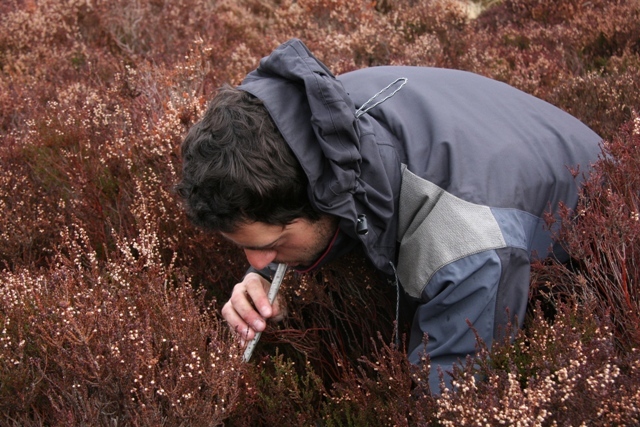 As a research assistant at the Desertification Research Centre (CIDE, 2008), he considered the effects of wildfires on soil hydrophobicity, and at the Netherlands Institute of Ecology (NIOO-KNAW CL, 2010) developed a methodology to study zooplankton ecology. His Kelvin-Smith funded PhD project examined the relationship between fire and peat carbon dynamics in heather moorlands. Specifically, he considered the effect of drought on fire severity and carbon dynamics (dissolved organic carbon, CO2 and CH4 fluxes), and the effect of altered fire severity on carbon dynamics and vegetation regeneration. 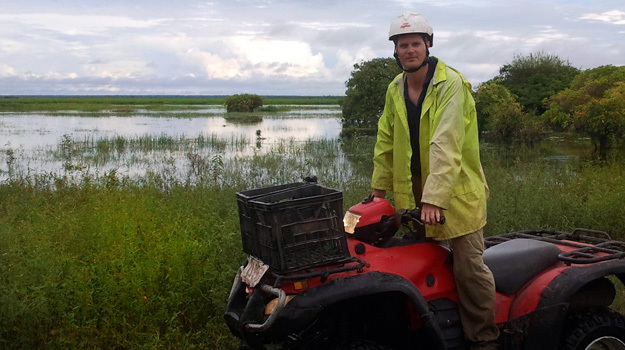 After 6 months as a post-doctoral researcher in the US, he is now in working as as post-doctoral researcher at the Swedish University of Agricultural Sciences, studying the role of mosses on carbon cycling in boreal forests. Follow Roger on twitter here. Martin completed his undergraduate degree in Electronic and Electrical Engineering at the University of Strathclyde (2005-2010). He then transitioned from Engineering to Environmental Science by completing a NERC-ACTF funded PhD (2012-2017), with the research focussed on the use of sensor-based technologies to capture high resolution profiles of DOC export and testing the viability of using Raman spectroscopy for measuring and analysing difference components of DOC. Martin has since transitioned into a career with the civil service in the tax revenue domain. 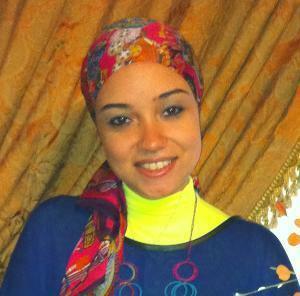 Amira has returned to her post as a Lecturer Assistant at the Faculty of Economics and Political Science, Cairo University and at the American University in Cairo (AUC), Egypt to after completing a Ph.D. in the School of Mathematics and Statistics and Geographical and Earth Sciences. Her PhD developed statistical models for water quality on river networks that requires a complex spatio-temporal model. Her research interests include spatio-temporal and environmental statistics with a particular focus on water pollution. Amira was awarded the John Wiley and TIES best student presentation award for her paper titled “Spatial Heterogeneity of Water Quality of the Nile River in Egypt” at the 22nd annual conference of TIES. Hazel was a NERC-funded PhD student (2012-15) who was researching why, how much, when and where freshwaters degas CO2 to the atmosphere. Her first degree was a 1st class integrated Masters degree in Physical Geography from the University of Hull. Her Masters research project was to better understand the processes that control river tufa deposition, a process accompanied by CO2 degassing from freshwater. 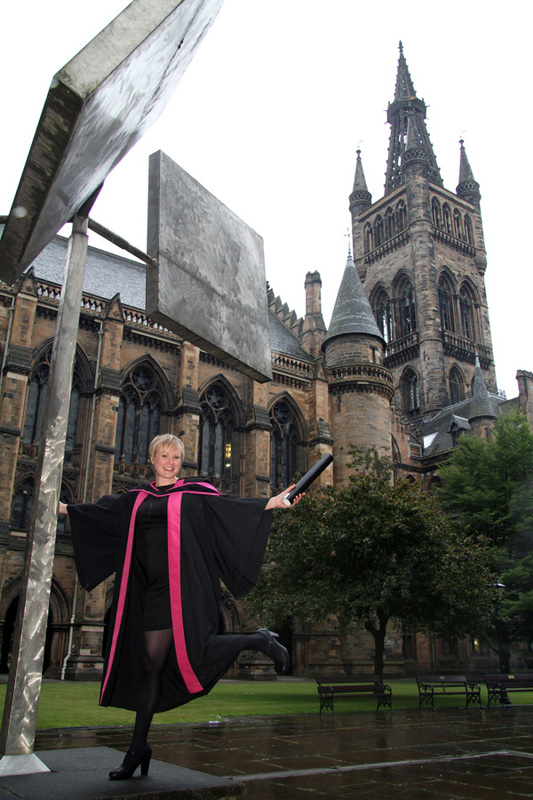 After completing her PhD she worked as a research assistant and then lecturer in the University of Glasgow and has now moved to the Scottish Environmental Protection Agency as a field scientist. Funded by SSE Renewables, EPSRC and the Energy Technology Partnership, Ben’s research project focuses on the construction of Gordonbush windfarm near Brora in NE Scotland in order to inform future best practice and support the habitat management plan. The proposed research incorporates monitoring water chemistry and environmental reconstruction to assess loss of C and nutrients from the landscape arising from construction and subsequent recovery from disturbance. Supplementing this baseline monitoring are more detailed studies on best management practice. His first degree is a B.Sc (Hons) in Geography and Environmental Chemistry. 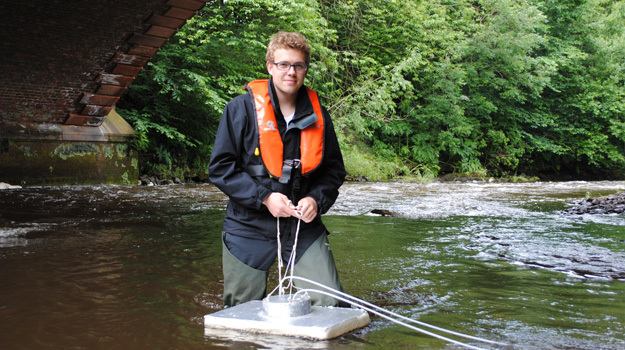 Recently Ben has been supporting research activity developing an understanding of urban river systems, and, fugitive methane emissions. Harriett is an environmental scientist by training with a B.Sc (Hons) in Environmental Science (2010). Harriett completed a NERC funded PhD (2010-2014) based at both the University of Glasgow and the Centre for Ecology & Hydrology in Lancaster. Harriett’s research focused on identifying the impacts of wind farm-induced microclimate changes on peatland carbon cycling. 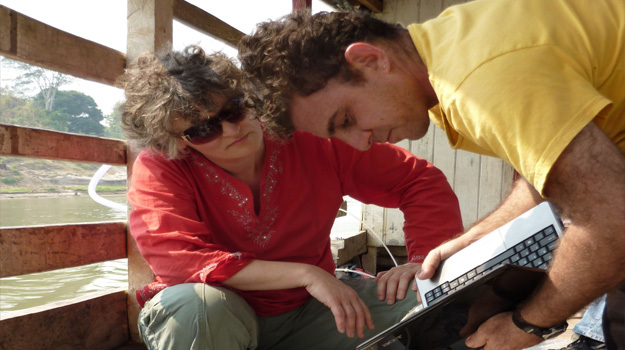 After completing her PhD, Harriett worked as the Knowledge Exchanger Officer for the Microclimates project. She is now at the Communications Officer at NCAS in Leeds. 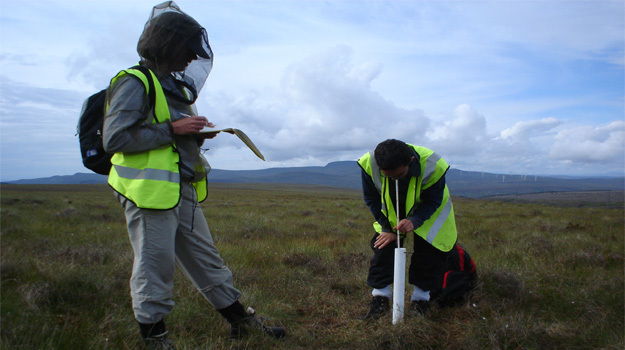 In research funded by SEPA and SNH, Antony quantified aquatic carbon and nutrient fluxes from peatland undergoing windfarm development. To achieve this, a long term water monitoring regime at the Whitelee windfarm extension and experiments with potential nutrient mitigation measures in streams was set-up. Sampling during storm events, studies to investigate environmental fate of dissolved organic carbon and further development of mitigation measures will be investigated. 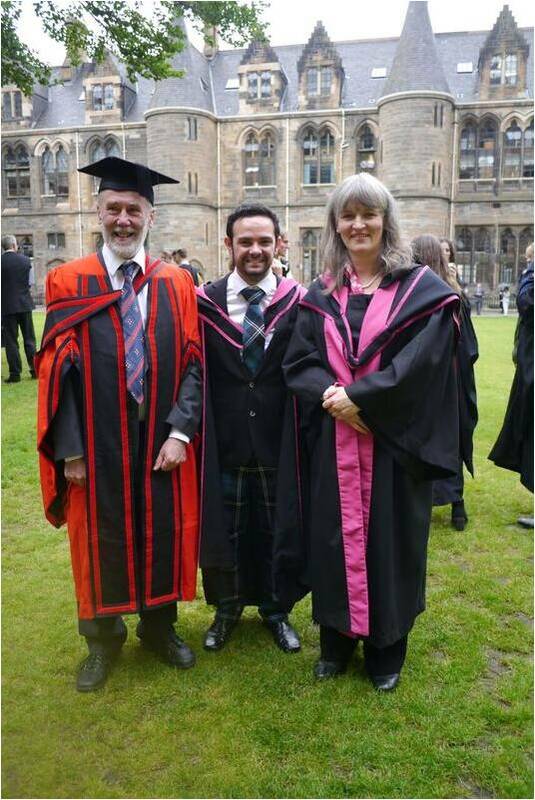 Hailing from the ‘wee county’ of Clackmannanshire, Antony’s first degree was an MSci in Chemistry at the University of Strathclyde followed by an MSc in Environmental analysis and assessment at Royal Holloway, University of London. Prior to his PhD, he has worked in environmental consultancy for three years, in which time he was involved in contaminated land risk assessments and large scale remediation projects. 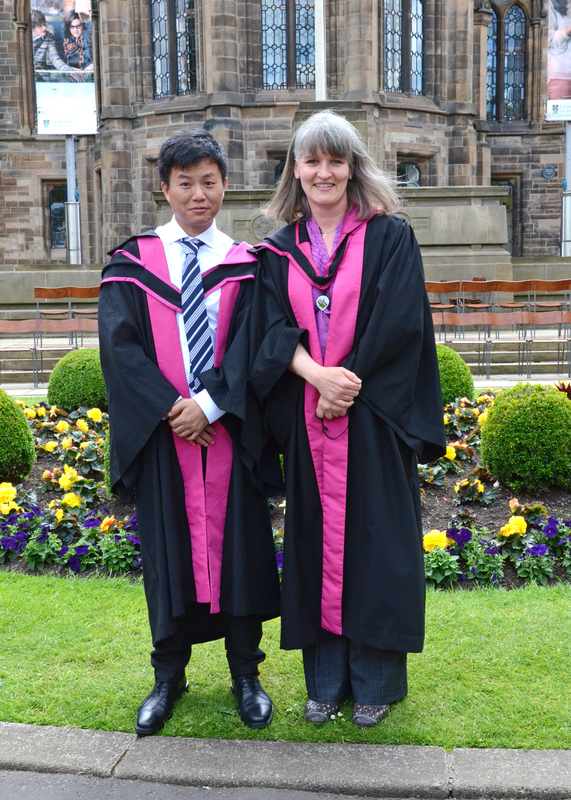 Zhiw ei received a Chinese Scholarship to carry out his research at Glasgow. His thesis was on whether surface fluctuations in peatlands, caused for example by changes in water table height or gas entrapment, can be detected using In-SAR. He has since returned to China to take up a research position. 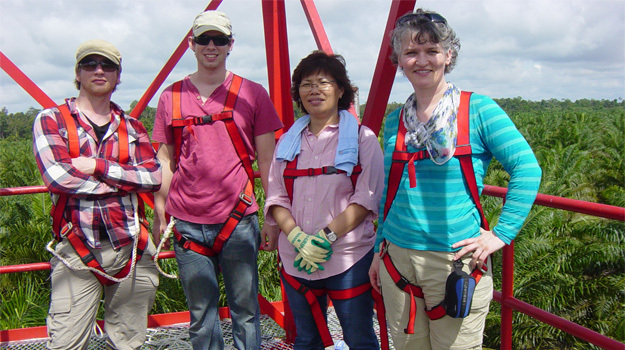 Alona joined us for 2.5 years as PDRA appointed to the carbon work-package of the NERC-funded Microclimates project. The project is a large consortium project examining the effect of wind turbines on the local climate and the subsequent impacts on carbon cycling. Alona focused on the carbon cycling component of the project, examining both the greenhouse gas fluxes and the concentration of dissolved carbon in the pore waters. 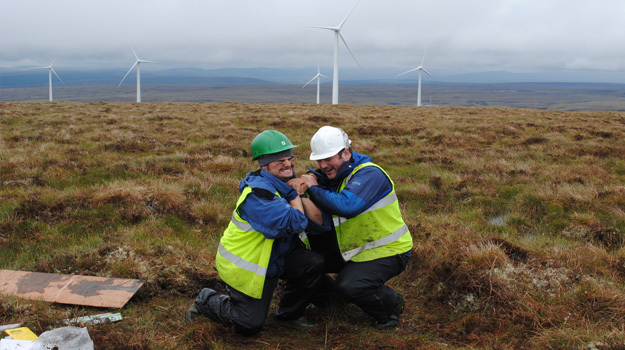 This component of the project is field-based and the field site is a blanket bog wind farm approximately 40 miles south of Glasgow. If you’d like to learn more about the microclimates project please click here. Alona continues to research the microclimatic effects of land-based renewables and consequent impacts on hosting ecosystems in her new post as a Faculty Energy Research Fellow at Lancaster Environment Centre – but she has forsaken wet and cold peat bogs for solar farms. Simon completed his Ph.D. on ’Reconstructing nutrient pollution and its effects in coastal areas of the Baltic Sea’ in 2008. After that, and prior to his role as CLAD network facilitator, he was a consultant with Entec Ltd, an environmental and engineering consultancy. However, he has also spent 6 months as logistics officer / student supervisor on a coral reef conservation project, Tanzania(1996), worked as a warden at St Mary’s Lighthouse, N. Tyneside providing rocky shore interpretation for undergraduates and school parties (1997) and was a prize winner in 2003 Young science writer. Dr. Firdaus Hamzah was a Malayasian government funded Ph.D. student (2008-11) who was researching the application of non-parametric statistical techniques to modelling of highly detailed semi-continuous time series. His first degree is in Statistics and he undertook his Ph.D. whilst on leave from his lectureship in National University of Malayasia. He has since returned to this post. Funded by SAGES the Scottish Alliance for Geosciences, Environment and Society (www.sages.ac.uk) Helen’s research investigated whether Europe’s largest on-shore windfarm, Whitelee windfarm adversely affected carbon and nutrient loss from the C-rich soils hosting the windfarm into streamwater. Helen’s first degree is a B.Sc (Hons) in Geography and Environmental Chemistry and she was awarded the Oswald Robertson prize when she graduated in 2007 for excellent performance in the area of environmental chemistry. After completing her PhD, has joined the Scottish Environment Protection Agency , firstly in the Inorganic Chemistry laboratory and now in the Organic Chemistry section. Stephanie’s Ph.D. funded by the Forestry Commission, SNH, Bell College, Dumfries and Galloway Council, SEPA and the Galloway Fisheries Board explored the impact of conifer forestry landscape design on riparian and in-stream biodiversity and stream functioning. This project concentrated on linking variations to light level and riparian vegetation type on inputs of allochthonous and autochthonous sourced carbon. This project also investigated the impact to allochthonous carbon release to streams post clear-felling activities and related these changes to higher trophic in-stream species. 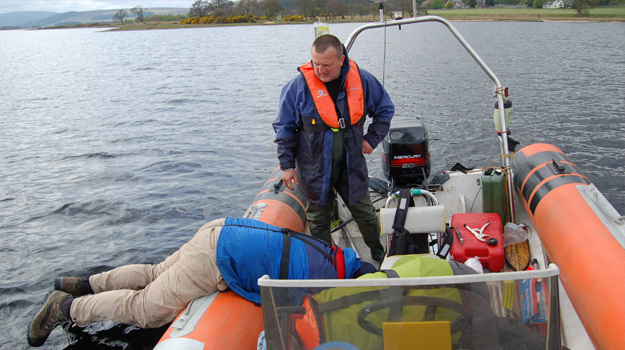 After her Ph.D. Stephanie took a position in Galway with the Central Fisheries Board on an EU Life+ funded project investigating the ecological, chemical and physical impacts the invasive non-native species, Lagarosiphon major on Ireland’s second largest and an ecologically unique lake, Lough Corrib. This project concentrated on assessing the impact of significant contributions of macrophyte-based autochthonous biomass to the ecological integrity of the lake, while working on developing novel control methodologies. She has now moved to Malayasiam where she is a lecturer at the University of Nottingam Malayasia campus and is exploring carbon and ecological responses to land use change, including palm oil plantations. Adrian completed a first class honours degree from the University of Wales, Swansea in 2004. Following this he undertook a NERC funded Ph.D at Glasgow University. 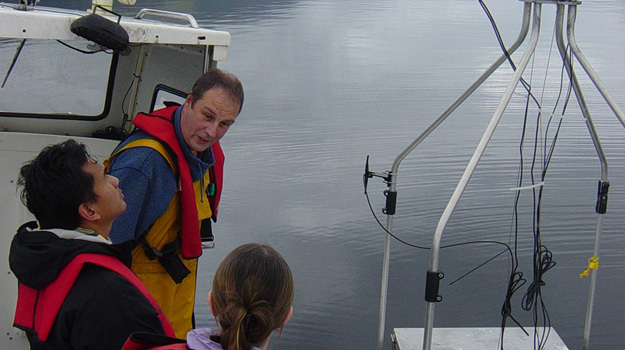 Adrian completed his Ph.D ‘Stable isotopic insight into pelagic carbon cycling in Loch Lomond: a large, temperate latitude lake’ in 2008. Upon completion of his Ph.D Adrian began a post-doctoral position with James Cook University in Queensland, Australia. During this period he has expanded his areas of interest and is currently involved in several lines of research including modelling carbon fluxes in tropical watersheds, carbon cycle processes on tropical floodplains, utilising high-temporal resolution data to constrain carbon cycle models and the functionality of biochar as both an agricultural fertilisation and CO2 capture technique. Adrian was responsible for developing the world’s first instrument capable of continuous, un-attended measurement of both dissolved inorganic carbon concentration and stable isotope composition. Adrian has now returned to Glasgow University as a lecturer in Geographical and Earth Sciences. Dr. Shailaja Vinji was a SAGES-funded PhD student (2009-12), based at St. Andrews. 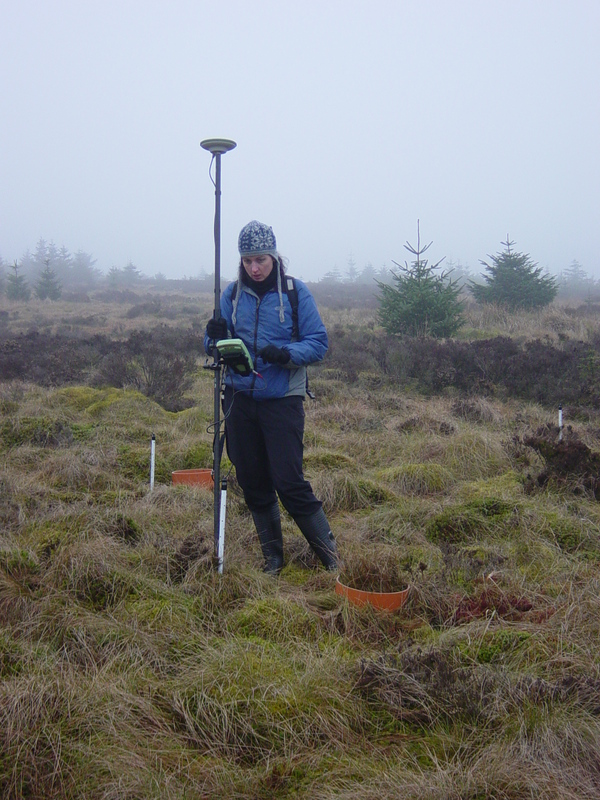 Her research is on organic carbon export from an upland peat catchment in the Flow Country, Caithness, Scotland. Flow Country blanket bogs in northern Scotland are the most expansive in Europe covering an area of ~4000 km2. Her study sites include different land uses. 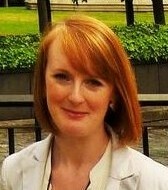 Anne-Laure came to the Carbon Landscape Research Group from May to August 2011. This internship was part of her engineering degree in Process Engineering for Energy and Environment at Ensta ParisTech. 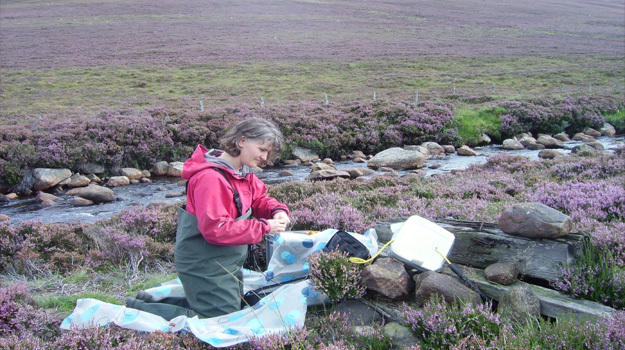 One part of her work was to build the map of CO2 fluxes of the Dubh Lochan, located in the Loch Lomond area. The other part was to evaluate the influence of physical factors on the CO2 fluxes. This study was performed on the Kelvin River and the Dubh Lochan. 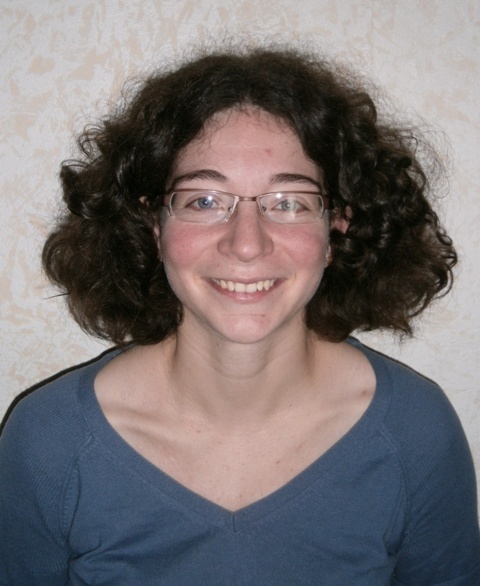 Laëtitia came to the group during the summer of 2011 to undertake a three-month internship as part of her masters degree in freshwater ecology at the University of Clermont-Ferrand, France. Her internship identified and quantified diatom communities in a sediment core collected from Gordonbush windfarm in Brora (NE Scotland). The aim of this was infer from the diatom communities the depositional environment of the basin. 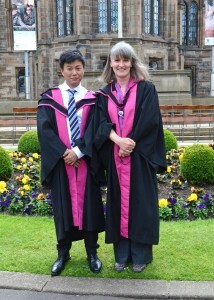 Simon came to the University of Glasgow from May to the end of July 2012. This three-month internship was part of his engineering degree in Management of Energy and Environment at ENSTA ParisTech, a French Grande Ecole located in Paris. His work mainly focused on physical controls on carbon dioxide fluxes in river systems, such as Reynolds number, shear stress, pH, wind velocity, etc. Two significant positive correlations between one estimate of the gas transfer velocity and both the Reynolds and the shear stress were found. The aim was to try to better understand the turbulent factors and mechanisms controlling the efflux of carbon from streams.